Today, your customers expect what they want, when and where they want it. If you don't deliver on that kind of promise, another brand will. A smarter supply chain, enabled with AI and blockchain, gives you unmatched visibility and insights so you can make informed decisions and mitigate disruptions before they impact your ability to deliver business results. Improve data flow across B2B relationships by automating manual processes and ensuring critical transactions and data exchange are reliable, secure and scalable. See what you couldn't before with real-time insights so you can proactively make informed decisions and mitigate disruptions before they impact your business. Gain real-time inventory visibility across your end-to-end supply chain so you can fulfill every customer order perfectly and profitably. With IBM Supply Chain Insights, Lenovo uncovers hidden opportunities to cut operational costs and drive incremental revenue. 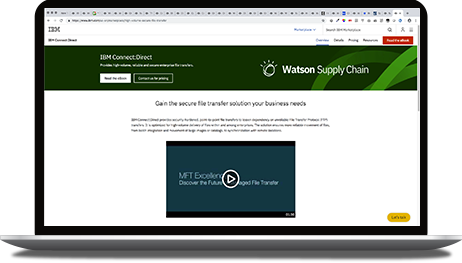 With IBM Supply Chain Business Network, Master Lock has AI capabilities to help business users gain deeper insight into EDI processes. 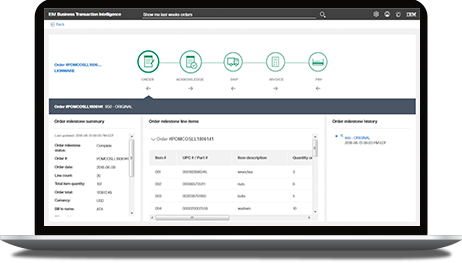 Builds a central inventory, order promising and fulfillment hub based on IBM Order Management — enabling true omnichannel retail capabilities. 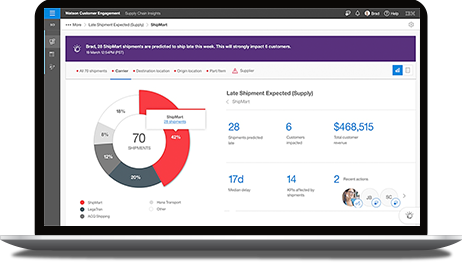 Deliver a seamless omnichannel customer experience and optimize order fulfillment across every location in your supply chain. 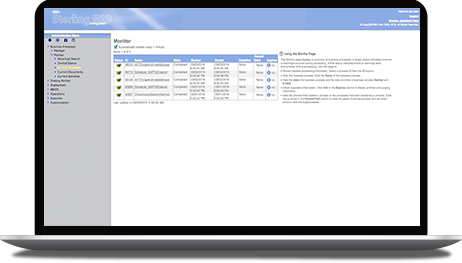 View all relevant transactions from a single dashboard to quickly pinpoint and assess issues allowing resolution in minutes not hours. Predict, quickly assess and effectively mitigate disruptions and risks to optimize supply chain performance with AI-powered capabilities. Automate point-to-point file transfers reliably in a security-rich environment for high-volume delivery within and among enterprises. Reduce costs by consolidating on a single platform with automated B2B processes. 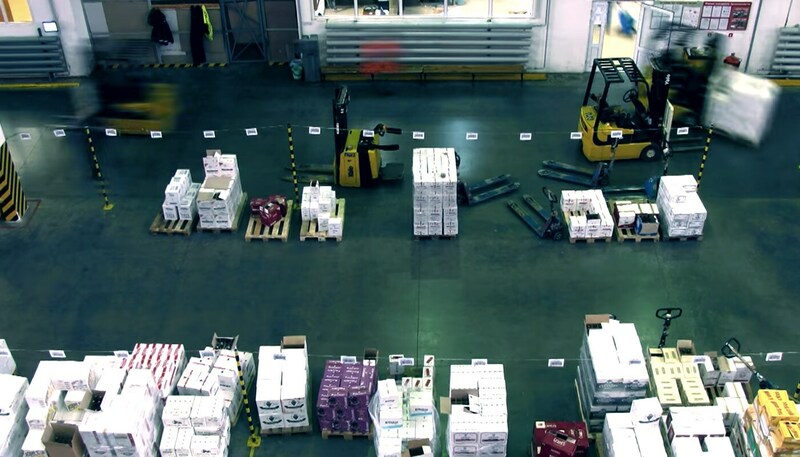 Discover how together, AI and blockchain have the power to transform supply chain operations providing better visibility and insights fundamentally. Read posts written by IBM leaders on a variety of topics related to supply chain visibility and management. Join the IBM Watson Supply Chain Network group and interact with supply chain professionals exploring AI and blockchain. Schedule a one-on-one consultation with experts who can help you make your supply chain smarter with AI-enabled solutions.